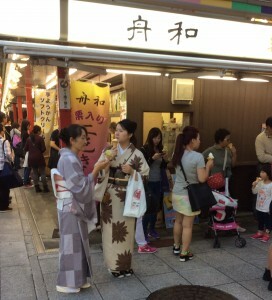 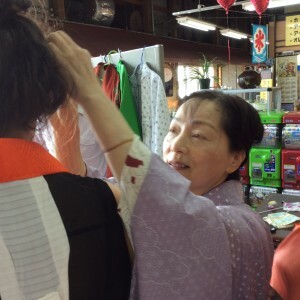 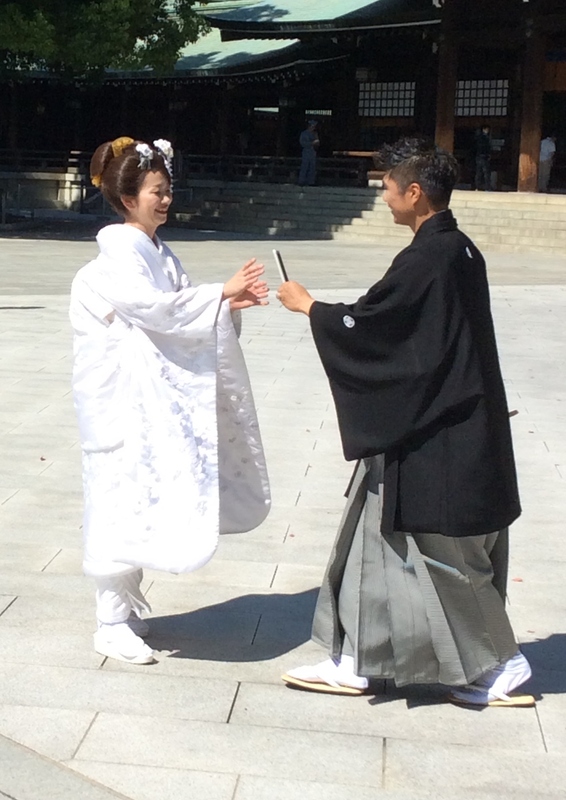 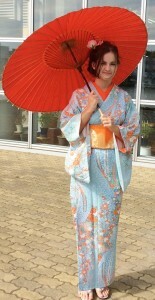 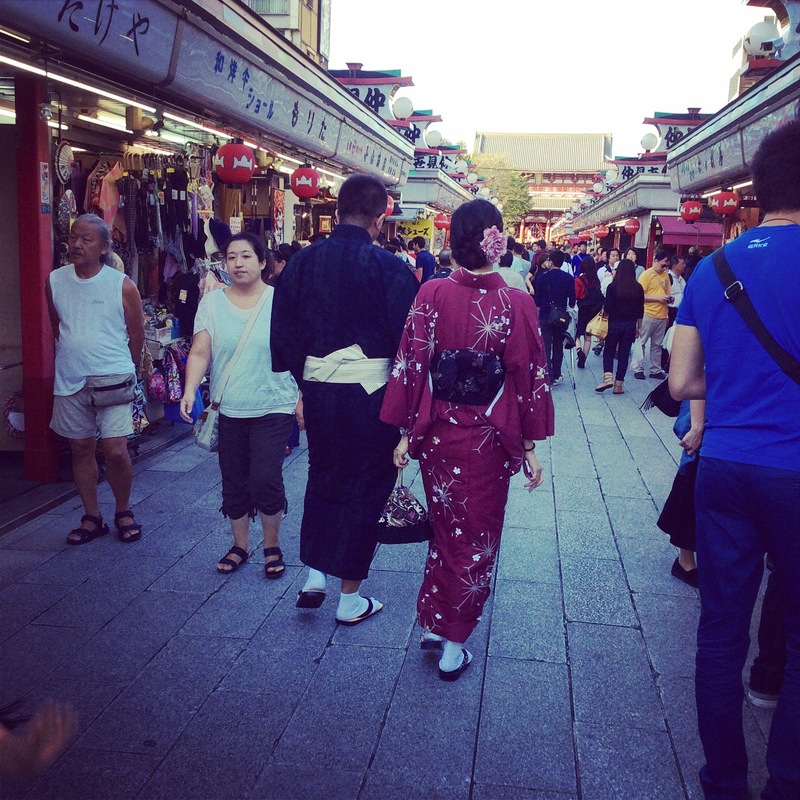 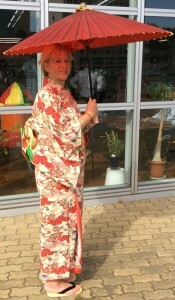 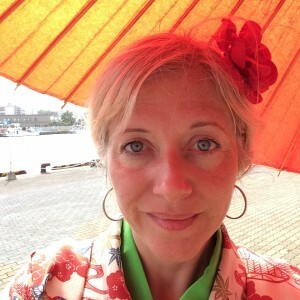 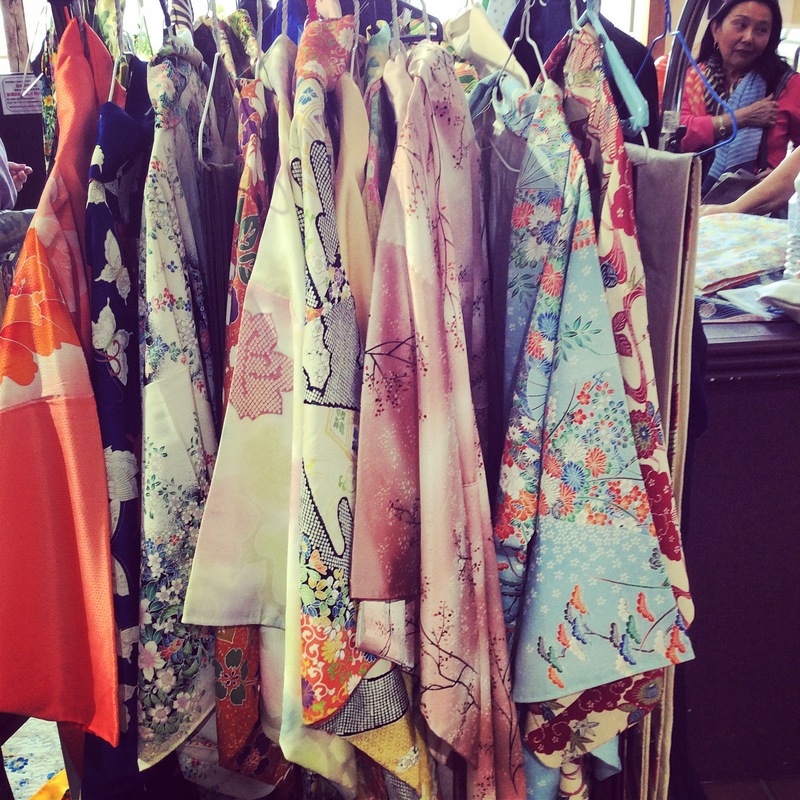 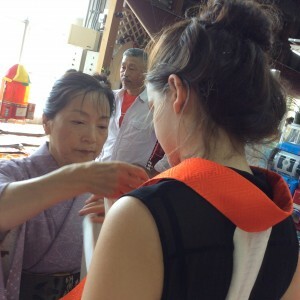 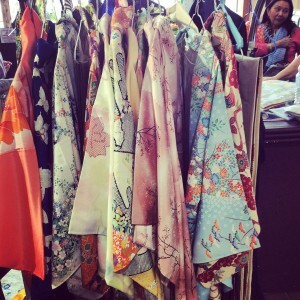 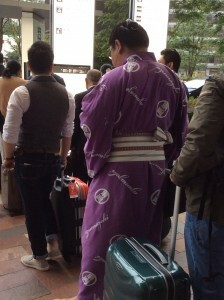 …to the more everyday kimonos, like this one. 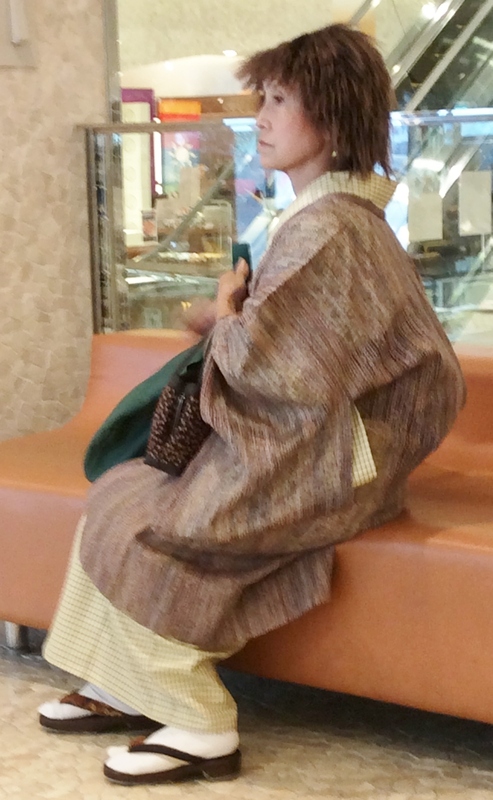 …and we spotted this man wearing this rather gorgeous one in a taxi queue at Tokyo station. So, when we arrived at Kushiro and discovered you could be dressed in beautiful silk kimonos for free OF COURSE Harriet and I jumped at the chance. 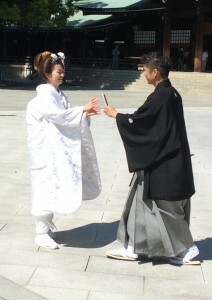 …and then we had to stand patiently while the ladies dressed us in layers of silk. It was all very precise. 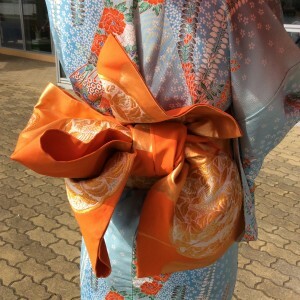 ….and then they tied on the obi (sash, now you know where the name Obi-Wan comes from), which holds it all together, and made an elaborate bow at the back, so skillfully it was like origami. Amazing. Competitive Fancy Dress Syndrome: are you at risk?